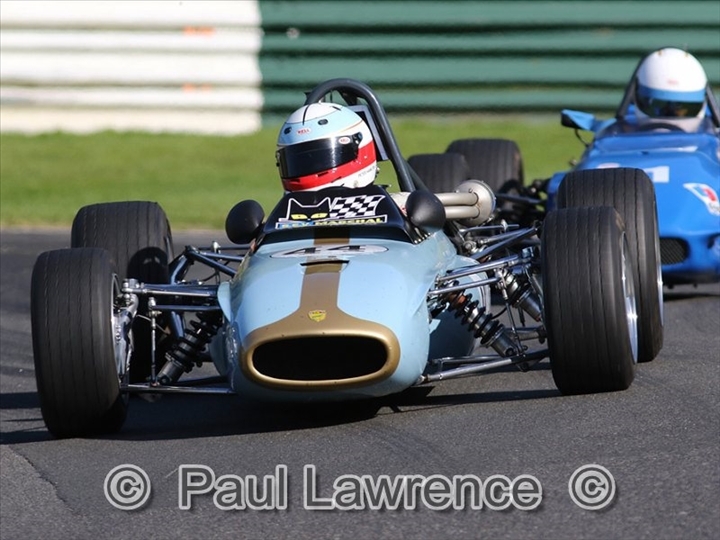 Jon Milicevic extended his winning sequence in the 2018 Historic Formula 3 Championship to four races during the Justin Haler Trophy meeting at Cadwell Park (19/20 May). 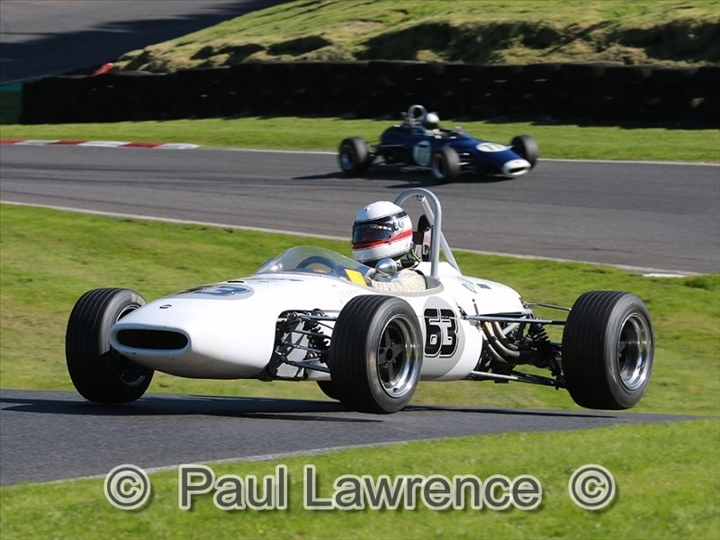 The Historic F3 races again remembered racing journalist Justin Haler with a trophy that honours the memory of the Autosport reporter who covered the 1-litre F3 category extensively in the late 1960s. 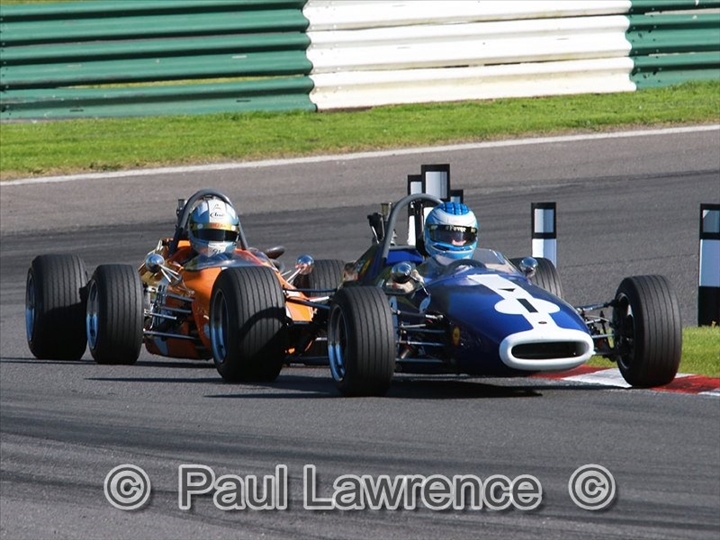 Under unbroken blue skies and in front of a good crowd, the pair of Historic Formula 3 races wound the clock back to 1969 and 1970 when the British Formula 3 cars of the day visited the spectacular Lincolnshire track. 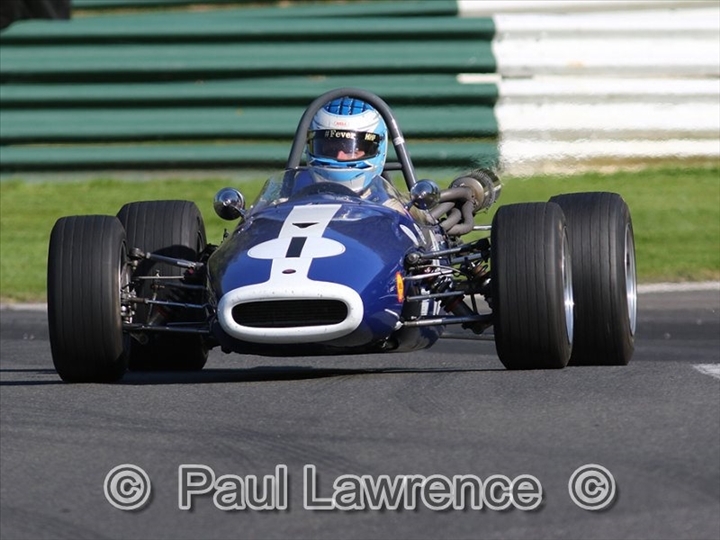 Among a strong entry this time around were several cars with notable Cadwell Park histories including the ex-Reine Wisell Chevron B15 of Jon Waggitt, which finished fifth in the 1969 Lincolnshire International Trophy. 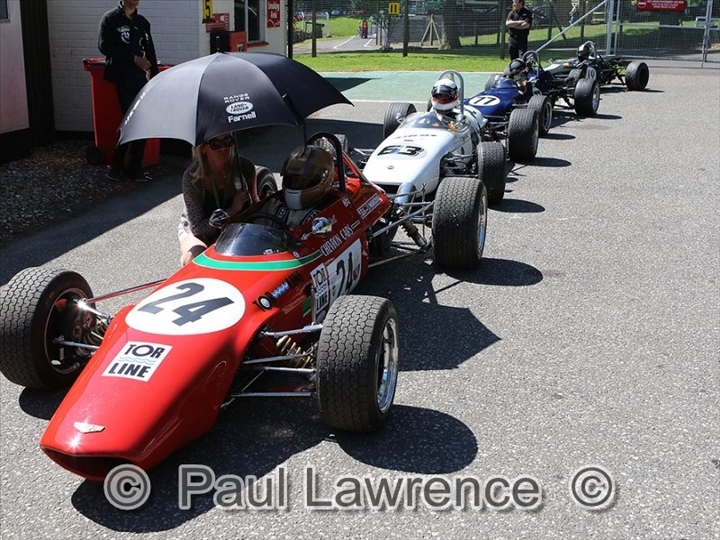 Milicevic (Brabham BT21B) signalled his intentions for the weekend by taking pole position by a handy margin over the Merlyn Mk14 of Jonathon Hughes, while Paul Waine was an excellent third in the rare De Sanctis. 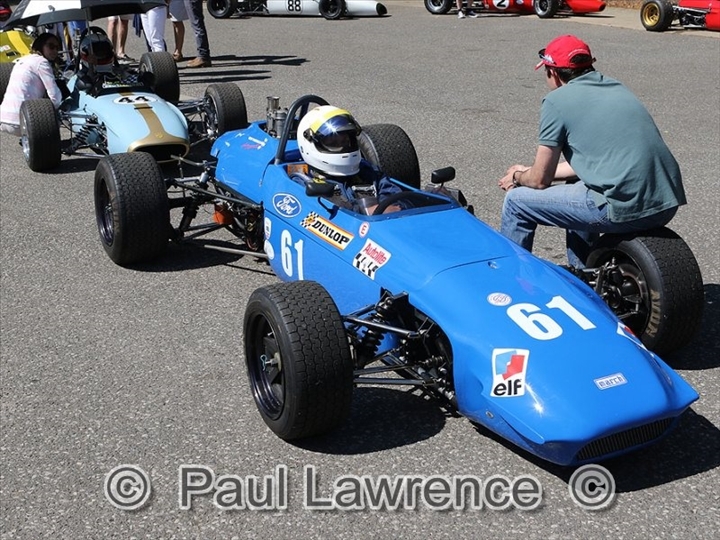 Francois Derossi made it four marques in the top four with his Chevron B17. 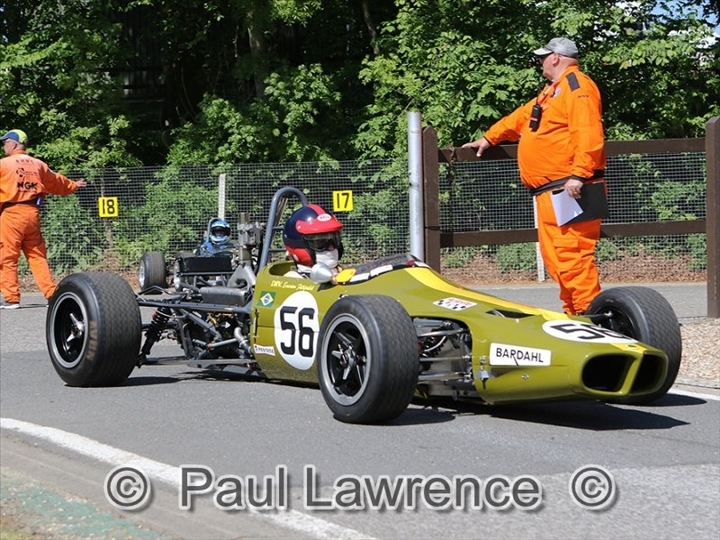 Unfortunately out after an inadvertent qualifying clash were Jim Timms (Brabham BT21B) and Keith Messer (Vesey). 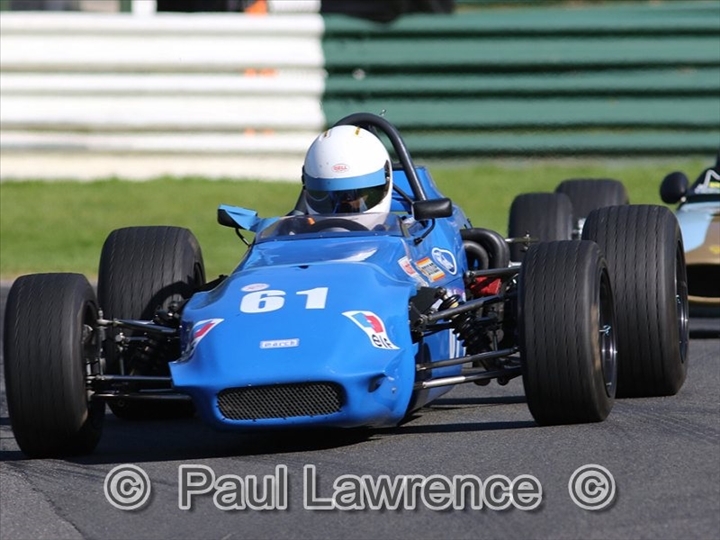 Hoping to make up for his retirement in the front-engined Formula Junior race earlier in the day, Hughes set off in a superb battle with Milicevic in Saturday’s opening race. 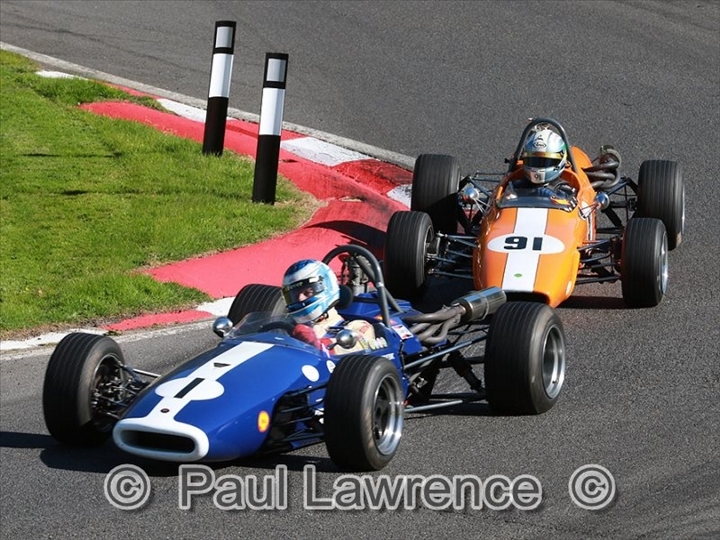 The two cars made a fantastic sight as they battled wheel-to-wheel but, sadly, this spirited contest was not destined to last as Hughes coasted into the pits on lap six with apparent gearbox dramas. 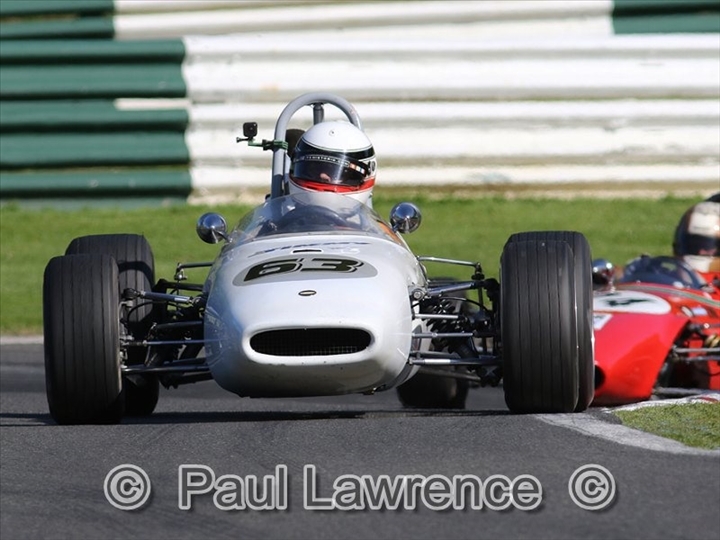 His race, and indeed weekend, was over. That left Milicevic clear, but he was disappointed to lose his rival. “I was so pleased at the prospect of a humdinger for 20 minutes,” said Milicevic. 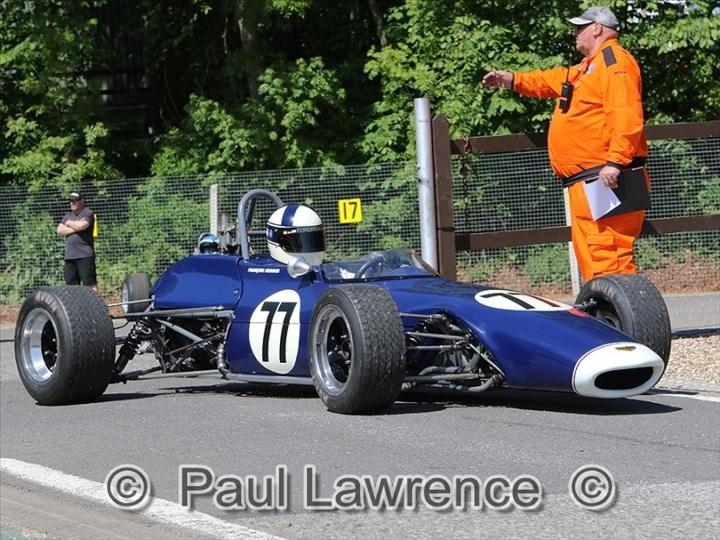 “He’s found some time and I hope they can fix it for tomorrow,” he added of the Merlyn. Unfortunately, that was not to be. 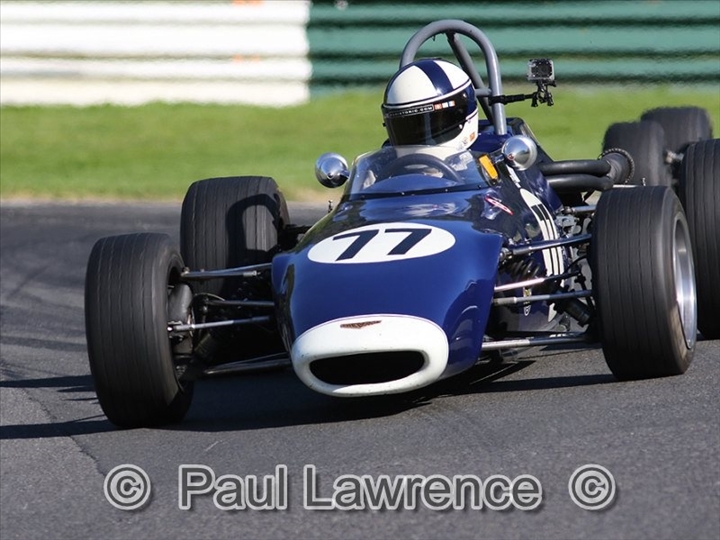 Instead, Waine moved into second to give his De Sanctis its best ever result in a fine second and quite possibly the marque’s best UK race result while Christoph Widmer was an excellent third in his Brabham BT18A despite a strong challenge from Jon Waggitt (Chevron B15) and Michael Scott (Brabham BT28). 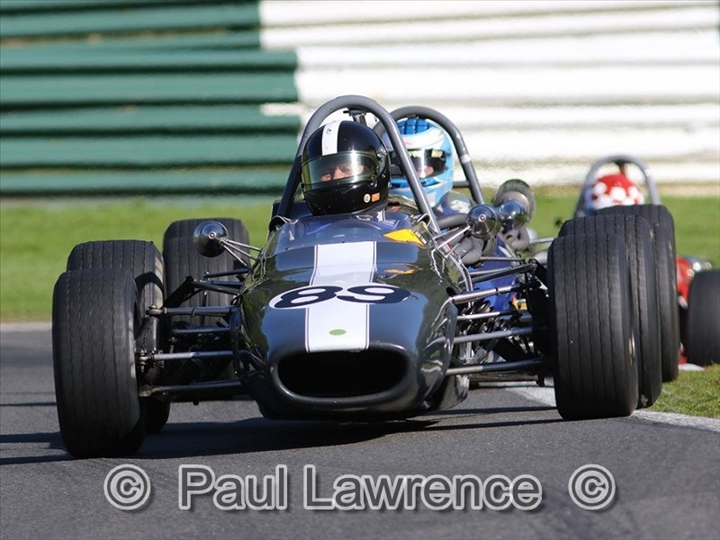 “I’ve never driven as fast before at Cadwell Park,” said Widmer. 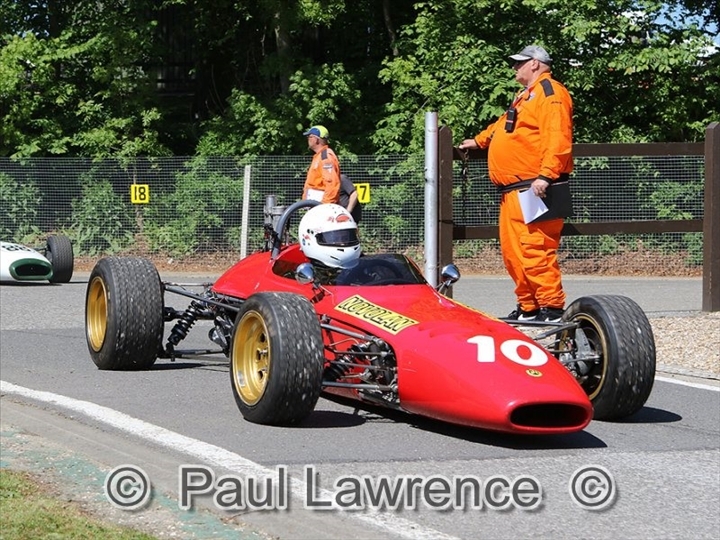 “It is one of my favourite tracks,” added the Swiss commuter. 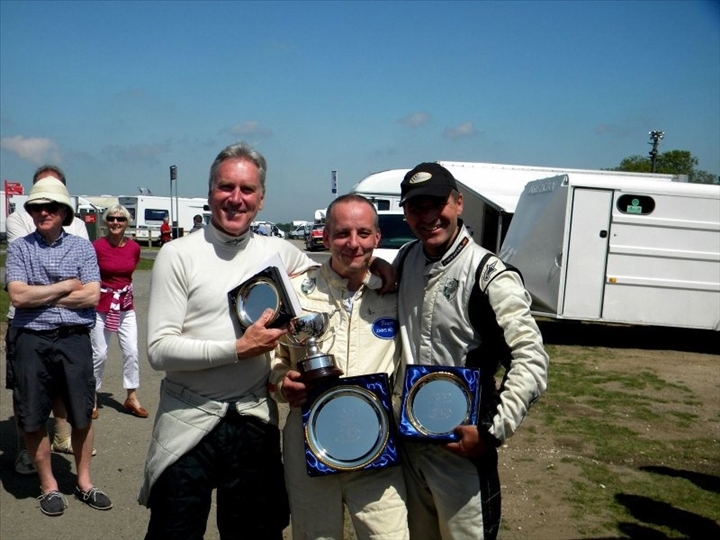 On Sunday, still in glorious weather conditions, Milicevic added a second win as Widmer again took second, but only narrowly over the chasing Scott as barely a fifth of a second split them at the flag. 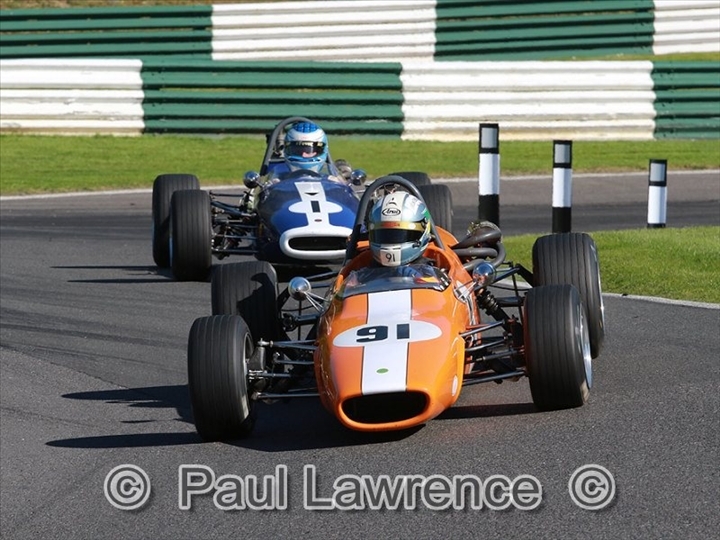 The double win was enough to confirm Milicevic as the winner of the Justin Haler Memorial Trophy and extended his unbeaten Cadwell record to six races over three years. 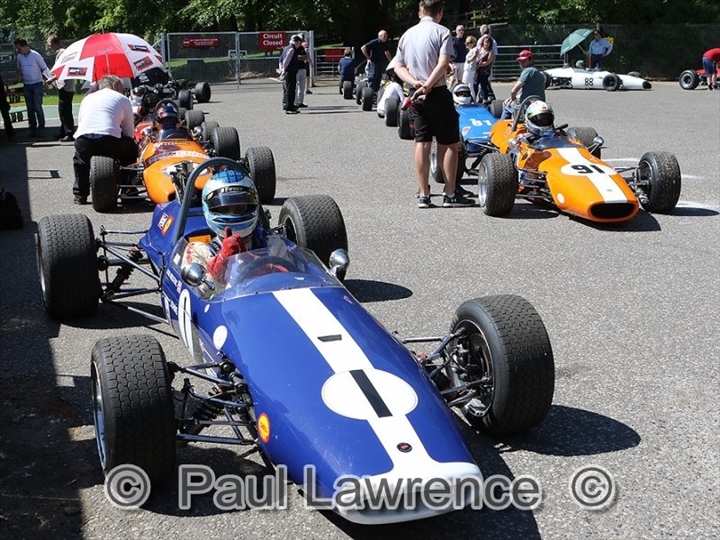 As in the opening race, enjoyable battles ran all down the order and it was Waggitt who took fourth after running right on the tail of Widmer and Scott. 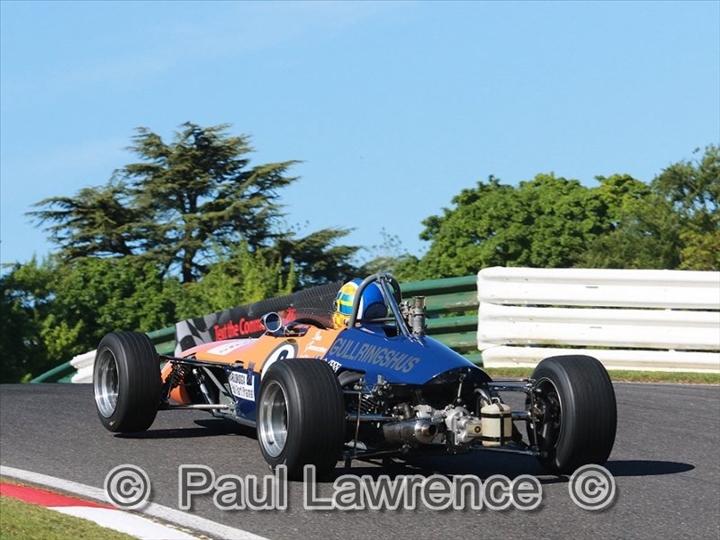 A 10-second penalty for a false start dropped Waggitt further back on final finishing times but did not cost him a place. 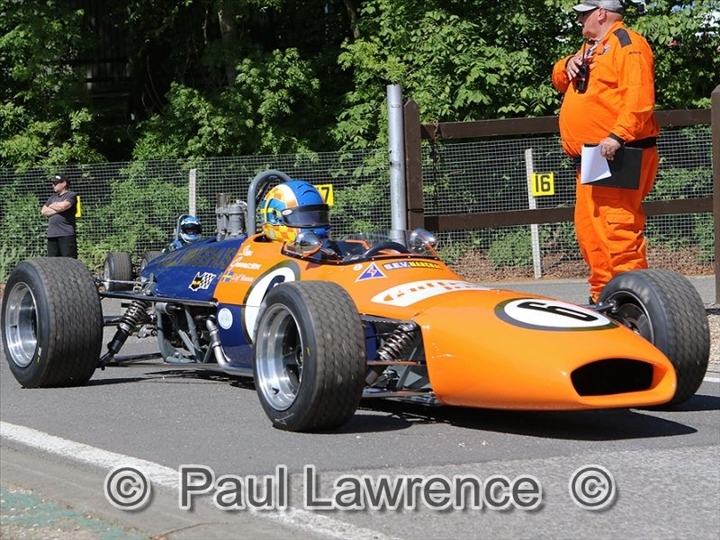 Waine claimed fifth while Gregan Thurston (Brabham BT21B) headed Leif Bosson (Brabham BT28) in the contest for sixth place.